The first HO-scale model of Electro-Motive Division’s (EMD) SD40 diesel locomotive arrived in the late 1970s and came from Yugoslavia and appeared in AHM’s catalog. Southern Pacific (SP) 8444 was one of nearly 80 examples of EMD’s SD40 delivered to the U.S. railroad during the first half of 1966. This side view shows the AHM model decorated in SP’s “bloody nose” livery of Harbor Mist Gray and Scarlet Red with white lettering. One of the most popular General Motors (examples were built by EMD in the U.S. and General Motors Diesel in Canada) diesel locomotives introduced in the 1960s was the six-axle SD40. First built in January 1966, by the conclusion of production in August 1972, the SD40 numbers topped out at more than 1,200 examples. As part of EMD’s “Dash 2” series, introduced in 1972, a revised SD40-2 took over the SD40’s place in this General Motors diesel builder’s catalog. The SD40-2 went on to be another major success with even more examples in service than the SD40. The design reproduced a common approach used by Mehano for diesel locomotive reproductions. The frame, pilots, and handrails are a single plastic section with a single-piece plastic upper shell (nose, cab, and hood). This approach allowed for providing tread pattern detail on walkways that was a challenge to reproduce on models that included the mentioned sections all as a single plastic shell piece. The fidelity and accuracy of this late 1970s HO-scale SD40’s tooling is better than most models produced at its price point. The model is certainly not without some errors, among them the backwards position of the fuel filler and gauge on the plastic tank. Though it would seem you could remove the screws and flip the tank’s orientation, this doesn’t work as the holes don’t line up between the body and the tank when flipped. The access door detail along the long hood and the appearance of the fans and dynamic brake blister do a fair amount of justice to the EMD prototype. However, the radiator grilles on the upper area of the long hood are rather weak. One interesting detail present is a box located next to the nose on the front step of the engineer’s side of the unit. This detail is suggestive of the signal control equipment used by Pennsylvania Railroad. Could be that Pennsy prototype photos served the designer of this model and that feature got included on the HO effort. Maybe the best HO diesel ever produced by Mehano of Yugoslavia (now Slovenia) is this SD40 model. Introduced in 1979 by AHM in North America, the model included two driven axles on each truck and a flywheel-equipped mechanism. This tops the usual Mehano design of a single truck being geared by a basic motor lacking a flywheel to provide smoother starts and stops. The body-mounted couplers, on early production SD40s only, was another uncommon feature for this Yugoslavian model builder. 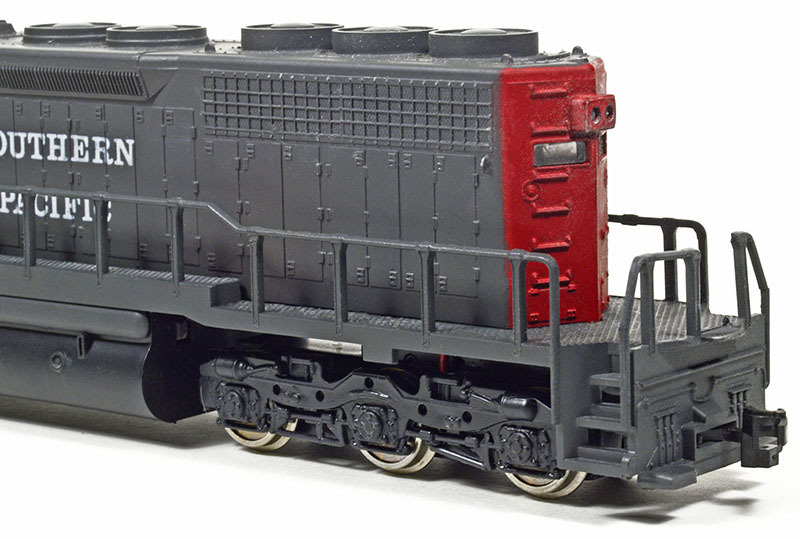 Among the HO-scale diesel locomotive models marketed by AHM from the early 1960s into the 1980s, this Mehano-made SD40 release is probably the second-best effort ever sold by the Philadelphia-based importer. Only the mid-1960s Rivarossi-made U25C tops this SD40 model, and the mid-1970s Alco C-424 would be the other contender for second best. Unfortunately, the production of original examples, sold by AHM, are among the only ones to feature body-mounted couplers and complete pilot detail. By the mid- to late 1980s, this SD40 was sold by IHC Hobby and the plastic shell saw revision with open pilots and couplers mounted to the trucks. In addition to returning for appearances in IHC Hobby’s catalog, this SD40 was also imported by Model Power in the mid-1980s. 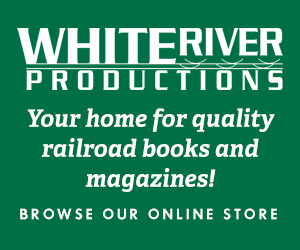 If you’re looking to collect the early run SD40s with full pilots and flywheel drives, the road names produced include Burlington Northern, Chessie System, Chicago & North Western, Conrail, Santa Fe, Union Pacific, Western Maryland, undecorated, and the SP example shown. In addition to those AHM releases, there were Bev-Bel exclusive SD40s produced that include the early design. 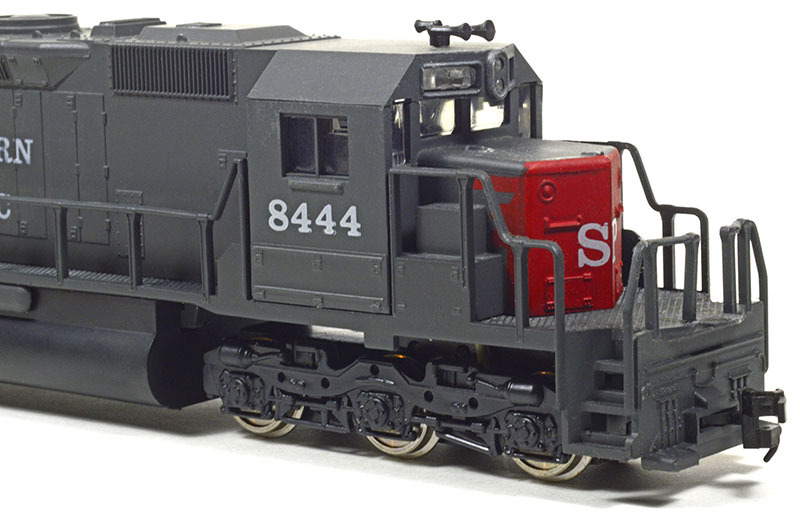 For more on this AHM SD40, you can visit the HO Scale Trains Resource.